How the Curve is Generated? The test starts with the flow control valve in fully closed condition. The flow meter will now show zero, the corresponding pressure head value is noted from the pressure gauge. This way the first point of the curve is plotted in the graph (with flow rate along X and pressure head along Y axis). The flow control valve is opened gradually to get the values of the pressure head for different flow rates. All the generated performance points are then plotted to get the performance curve of the pump. How to read the pump characteristic curve? It is clear, from the shape of the pump characteristic curve of centrifugal pump shown above, that with the increase in discharge flow rate the discharge pressure decreases. 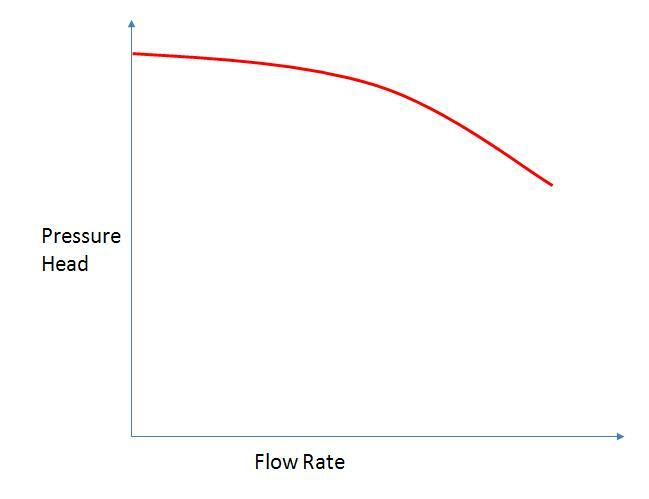 Know the required flow rate for your system and use the graph to find out the discharge pressure head you will be getting. From the detail version of the curve (shown below), you can also get the values of pump efficiency, NPSH (r) and power against the required flow rate. 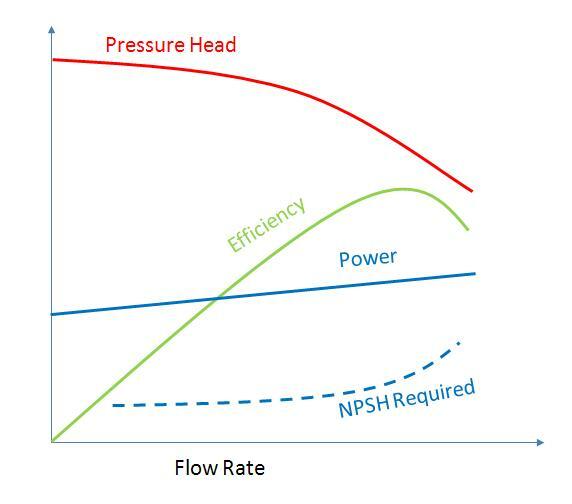 Apart from the discharge pressure head, the pump efficiency, power, and NPSH (required) is also plotted in the detail characteristic curve. In the subsequent articles, I will talk about the creation of system resistance curve and the selection procedure of a pump suitable for a particular application.